Anti-lock brakes help you maintain better control of a vehicle under difficult road conditions like ice, rain or snow. When you drive your car through slippery conditions, you have to pump your brakes to make sure that the wheels do not become locked up. With ABS, the pumping is handled internally and much faster than you could do manually. The ABS brakes coordinate the wheel activity, which keeps your vehicle from spinning out of control. 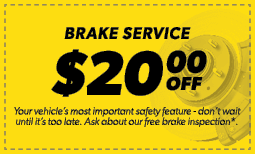 Learn more about ABS brake service and where to buy brake fluid when you come to Meineke #2190 at Boiling Springs, SC. ABS brakes were designed to prevent lock-ups and skids but also offer a few other benefits. Some insurance companies offer discounts for having this safety device because it has a track record of effectively preventing accidents. ABS is standard on today’s vehicles. Without this system on your vehicle, you may not get the premium resale value. Although the ABS system cost does add to the overall cost of your car, it’s worth the added safety and value. 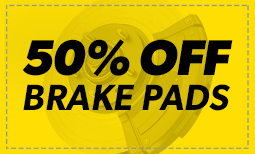 Talk to the technicians at Meineke #2190 in Boiling Springs, SC for more information about ABS brakes. Most ABS systems have multiple sensors built into the system to alert you when the brakes need service. A light on the dashboard might illuminate or you may feel that it takes more effort to press the pedal when braking. Another sign of ABS brake failure is that the brakes lock up while heavy braking. You may hear random clicking noises or feel your brakes trying to pump themselves. This is an indication that something is not working properly. For ABS brake service, bring your car to Meineke #2190 in Boiling Springs, SC for quick and convenient repairs and maintenance by our professional technicians. Even if your anti-lock brakes fail, your car is probably still drivable. The ABS brakes will switch off if the components fail, but the regular brakes on your car still work. This can still be a problem if you get into a panic situation where you expect your brakes to pump themselves to get you out of a skid. Don’t put off repairs to the anti-lock brakes, even if you’re not expecting icy or snowy weather. The ABS system also keeps your auto from hydroplaning in wet driving conditions. Maintain your brakes with silicone brake fluid or mineral brake fluid by coming to the professionals at Meineke #2190 in Boiling Springs, SC. Although some repairs to the ABS system can be costly, it’s much safer to replace a faulty ABS module as soon as possible. 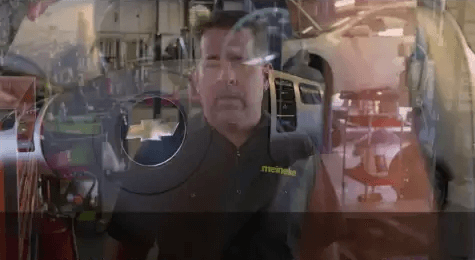 When you hear random clicking noises or feel the brakes trying to pump themselves, you need to come to Meineke #2190 in Boiling Springs, SC for professional repairs. When you become accustomed to relying on your anti-lock brakes, you don’t want to be caught without them, especially when the weather gets bad. Let Meineke help keep you safe on the road. If you are thinking about replacing your anti lock system, a reputable service center can help you choose the best one for your car and help you ensure optimal function. Today’s manufacturers are continually improving sensitivity and reaction time in order to improve safety. As part of your brake’s mechanism, your ABS is affected by the type of brake fluid you use. High quality fluid is less prone to clogging your valves, so it is important to know where to buy brake fluid that is right for your system. Ask the professionals at Meineke #2190 in Boiling Springs, SC about replacing and maintaining your ABS, as well as brake fluid cost.